Just below, the editors at Trends have collected relevant articles, pictures and videos to inspire your creativity, solve your design questions, and help you find the products that will bring your ideas to life. 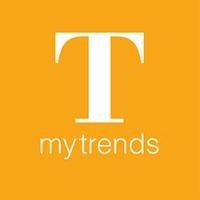 Have a look through our myTrends e-books, too. They’re a great way to start your journey through the thousands of images, articles and ideas available to you here at myTrends.